This really got me interested as I already pay a lot more for heating than I should, even so, that the radiators have not yet been turned on for a single minute but the bill has gone up significantly. I did not plan to heat up 55 square meters with a few candles, but it would be great if we could make our small livingroom cosy for the coming winter days. 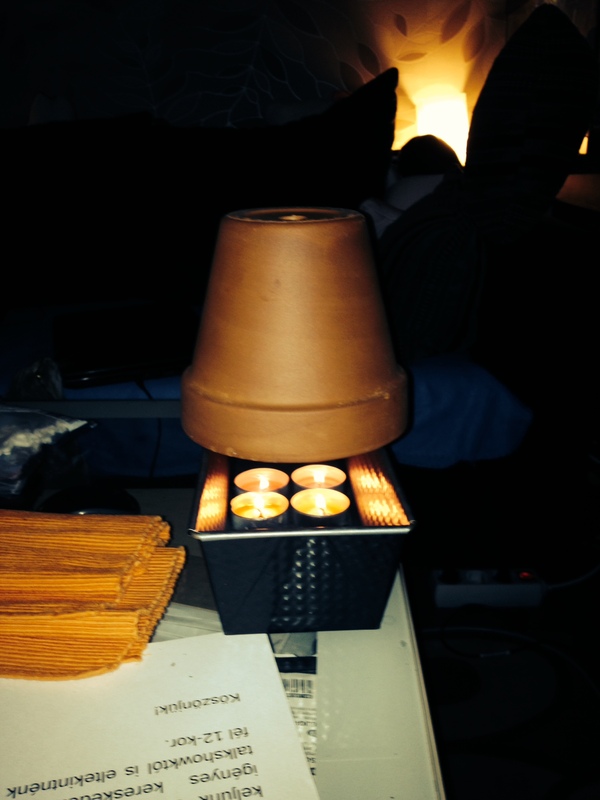 So we got 4 candles and two flower pots out and tried it. The result: It produces some heat, but don’t expect anything huge. 🙂 It is nice to have, you get some warmth around it and it is also a nice addition to any livingroom 🙂 I appreciate it more as an accessory than a heater.